‘Where do the ideas come from?’ I hear you ask. Well, if you were about 11 years old you would most likely ask that that question. 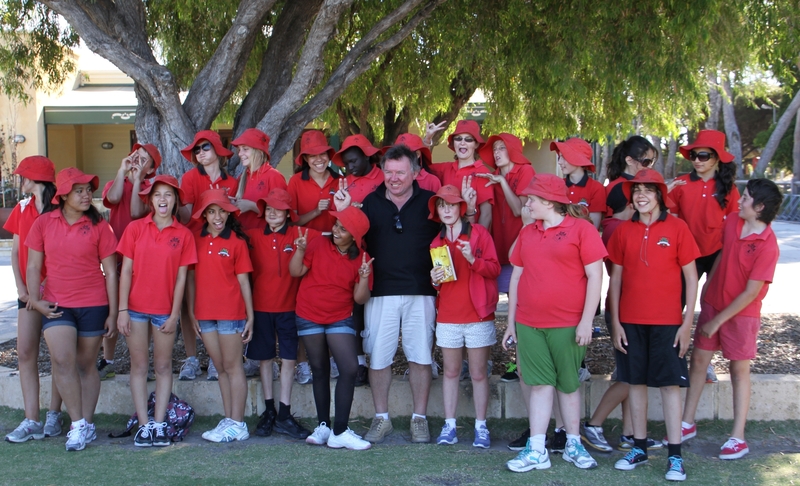 Most kids do at some point when I’m giving a talk to a class of school kids. That, and how much money do you earn? My usual answer is that ideas are often borrowed, referenced, or we are paying homage, which is just a pretentious way of saying they are pinched from other favourite works, then reshaped a little to help disguise their origins. There is no shame to it. 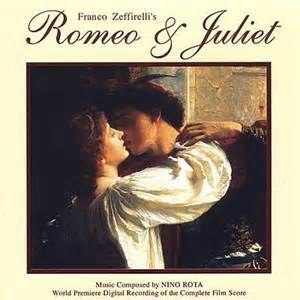 People have been rewriting Romeo and Juliet over and over for the past 400 years. Every film you watch will be using plots and scenes from earlier ones. What you have to do is try to bring a fresh approach to the story. Often, what happens is you use someone else’s idea as a starting point, but then as your story progresses, it takes on a life of its own and eventually the original is so far removed from its source that yours looks original. One example I use from The Last Viking. 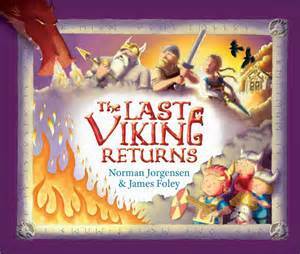 In our version James and I have little Knut, the frightened boy, become brave by channeling the Vikings. He goes to the skateboard park, gets bullied and then, bravely and all alone, faces up to the three bullies. Although he doesn’t realise it, he is eventfully saved by the Norse gods. 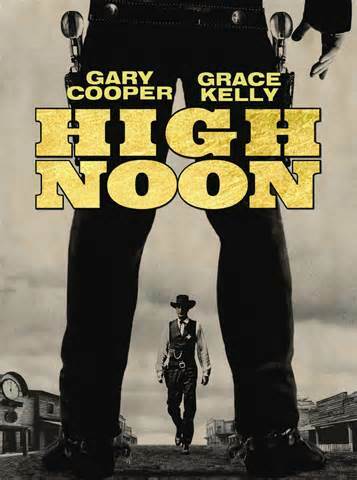 The starting point for the sequence came from High Noon, the Gary Cooper western from 1952, directed by Fred Zinnemann. 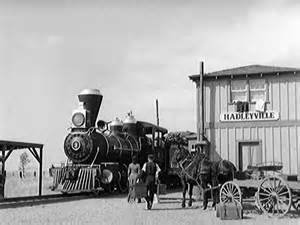 In that Frank Miller and two killers are due to arrive on the noon day train and kill Will Kane, the sheriff, in revenge for him sending them to jail some years earlier. Will Kale tries to persuade the other town folk to help him, but they all cowardly refuse, so he is forced to stand up to the three killers (bullies) all alone. 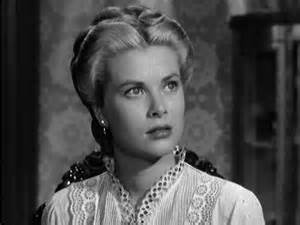 Whereas Knut is saved by the gods at the very last minute, the sheriff is also saved at the very last minute, but instead by Grace Kelly, a different sort of god (dess). For The Last Viking Returns, or The Return of the Last Viking or Here be Dragons, as it has variously been called along the way (it is referred to TLV II in all my notes) we turned to Norse legends for inspiration. We wanted a dragon in the story because they look so majestic, dramatic and simply petrifying with their scales, big sharp teeth and breathing fire. The legend of Sigurd slaying Fafnir the dragon seemed perfect. Being a kids’ books though, we adapted the slaying to something not quite as deadly. With James now finished illustrating Fafnir in all its terrifying glory, we are both a little worried that it might scare the living daylights out of our young audience. Fafnir scared the pants off me when James first revealed him. It didn’t take too much imagination to believe the dragon could have toasted me for breakfast with his furnace-like breath and the chomped into me with those sharp teeth. But then I’m not anywhere as brave as Knut, our little Nordic hero. In fact, I suspect that when Will Kane came to ask me to help him against Frank Miller, I might not have been as brave as Grace Kelly. Norman? 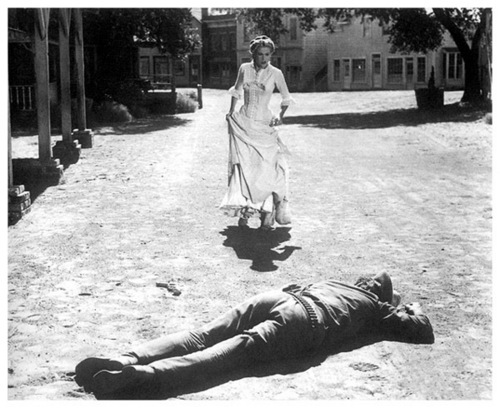 That’s him leaving town on the five minutes past High Noon train. Categories: Uncategorized | Tags: Fafnir the dragon, Fred Zimmermann, Fremantle Press, gary cooper, grace kelly, high noon, James Foley, Knut, Norman Jorgensen, Norse Gods, Norse Myths, skateboard park., The Last Viking Returns | Permalink.